Thursday, December 27, 2018, 9 p.m.
What do you get when you cross the Saturday Night Fever soundtrack with the Grateful Dead? Disco jam band Poolside shines their liquid light shows on spinning mirror balls, creating a syncopated psychedelic sound that would inspire just about anyone get up and start Napoleon Dynamiting across the dance floor. The group formed around San Francisco DJ Jeffrey Paradise and Junior Senior bassist Filip Nikolic, who launched Poolside out of L.A. with their 2011 single “Do You Believe.” That song’s sparsely arranged electronic sound was fleshed out somewhat on their debut album, but last year’s sophomore release, Heat, was more of a full band effort, featuring additional players, banks of space age electronics, and a new focus on guitar interplay clearly aimed at filling concert sets with improvisational Phishing and Spin Doctoring. Their December 27 show at the Music Box is likely to be highlighted by recent tracks such as “Everything Goes,” which they debuted a few weeks ago at San Francisco’s Outside Lands festival. The band’s touring incarnation includes two members from goth rockers the Rapture, Vito Roccoforte and Mattie Safer, as well as Casey Butler (Pharaohs) and Brijean Murphy (Toro Moi). 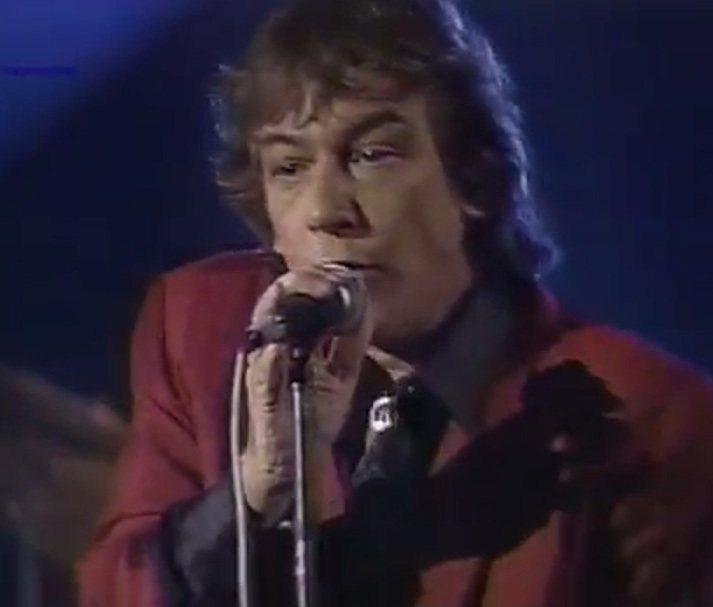 When you read the self-penned liner notes of early albums by Eric Burdon & the Animals, their gravelly voiced lead singer makes no secret of his admiration for Mick Jagger, and it’s true that those early records bear more than a slight resemblance to what the Stones were doing at the same time. However, while Mick and the boys chose to never stray far from the sonic template that first got them Rolling, Burdon has tried on - and discarded, and then tested again - more sounds and genres than a SiriusXM programmer. The last full-length to include Burdon backed by a lineup of original Animals was 1983’s Ark, one of the best “comeback” albums ever recorded and considered by some (including this writer) to be the band’s most inspired work. Burdon has since used the Animals banner for pretty much anyone he hires for touring (other than in England, where a former band member won legal rights to the Animals name). The Animals setlists seem indistinguishable from solo tours that likewise have included music from Burdon’s stint fronting funk band War, which resulted in some of his most heard singles such as “Spill the Wine,” “Tobacco Road,” and a cover of the Stones’ “Paint it Black.” When Eric Burdon & the Animals play the Belly Up on January 9 and 10, you’re also likely to hear selections from his most recent solo album, Til Your River Runs Dry, including its lead single “Water,” said to be inspired by a geopolitical conversation he once had during a lunch with Russian premier Mikhail Gorbachev. Monday, January 21, 2019, 8 p.m. The three childhood friends who formed the Districts in rural Pennsylvania made their recorded debut in 2012 with Telephone, a somewhat raw working-class rock album that proved popular enough to get them signed to left-of-bigtime record label Fat Possum. Working with A-list producer John Congleton (who also fronts the Paper Chase) resulted in A Flourish and a Spoil, which took them around the world for various multiband tours and festival gigs. They’ve gone positively Angels and Airwaves on their Popular Manipulations album, which is full of blood-pumping, fist-thumping anthems sure to get the Casbah crowd shouting along on January 21. The bill includes Chicago indie rockers Deeper, whose 26-minute debut album was released earlier this year. Monday, February 4, 2019, 8 p.m. If you like the original homemade lo-fi bedroom rock of Wavves, you’d probably enjoy listening to Oakland garage rocker Sven Gamsky, who releases music under the name Still Woozy. He basically jumbles inspirations found on the internet into immersive sound collages that use LSD soaked synths and acoustic effects to produce the aural equivalent of an underwater fever dream. After several years with math rockers Feed Me Jack, one of his early self-released Still Woozy singles, “Cooks,” made its way onto Spotify’s Fresh Finds playlist, which is how most of us first came across his brand of TV channel changer rock. That was followed by “Goodie Bag,” which proved even more popular on Spotify, and then a single called “Lucy” with guest player Odie which has topped over a million Spotify streams to date. Due to the fact that he mainly records solo with a Juno 106 synth, multitracking himself on keys, guitar, bass, and a drum, he hasn’t done a lot of solo performances since his stage debut last December. He’s reportedly working with a live drummer in preparation for his first headline tour, scheduled to hit the Soda Bar on February 4. Saturday, June 15, 2019, 7:30 p.m.
Also going on sale this week is the first round of concert tickets for next year’s San Diego County Fair in Del Mar. Though most of the music and comedy events come free with Fair admission, premium seats can be purchased for returning Latin ensembles such as Mariachi Sol de Mexico (June 16) and Grupo Intocable (June 23), and country crooner Justin Moore (May 31). The biggest headliner so far is 78 year-old soul singer Smokey Robinson, who kicked off somewhat of a comeback in 2014 with his duets album Smokey & Friends. It reached number 12 on the Billboard charts, thanks to an all-star guest lineup that included Steven Tyler, John Legend, James Taylor, and Elton John. He followed up last year with a Christmas album (his first since his days fronting the Miracles), and you may have seen him a few weeks ago on Jamie Foxx’s interactive TV game show Beat Shazam. All that media exposure should result in a multigenerational crowd for his June 29 appearance on the Fairground’s Corona Grandstand stage.